Graffiti, as an art form, has a rich and long-standing history, and while it came a long way in terms of being recognized as a legit method of expression, it still faces prejudices and is often branded as vandalism. It’s no secret that almost all of graffiti writers out there got busted at least once in their lifetime – it simply comes with the job at this point – although there are those heavenly places where you can paint freely and legally, without having to be ready to run at any point. 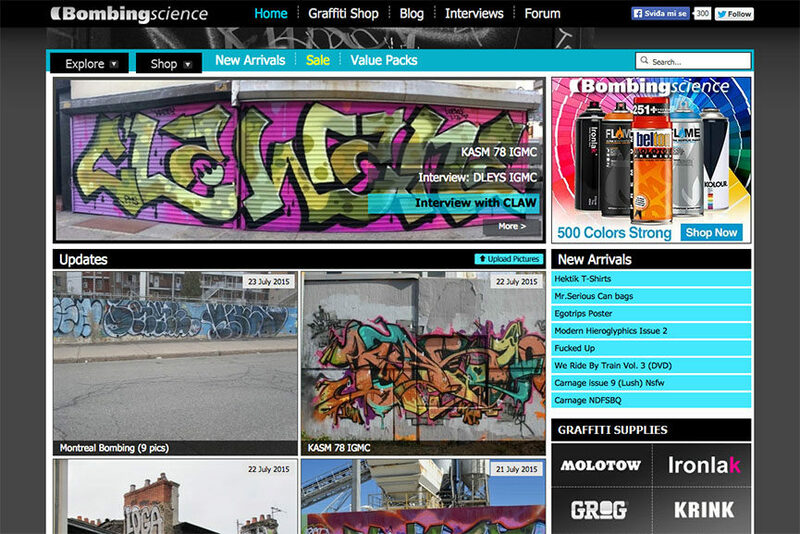 With the arrival of new technologies, and particularly the Internet, we, the graffiti enthusiasts and aspiring graffiti creatives, got an amazing opportunity to be up-to-date with the latest news, events, pieces and exhibitions worldwide, through the hard work of people behind graffiti websites. There are many of them out there, providing inspiration through pictures of graffiti fresh-from-the-streets, how-to manuals, exhibition reviews and introducing you to new and established artists. For some, the graffiti websites became a great way to share talent, find useful information and interact with other members of the graffiti community from every corner of the planet. 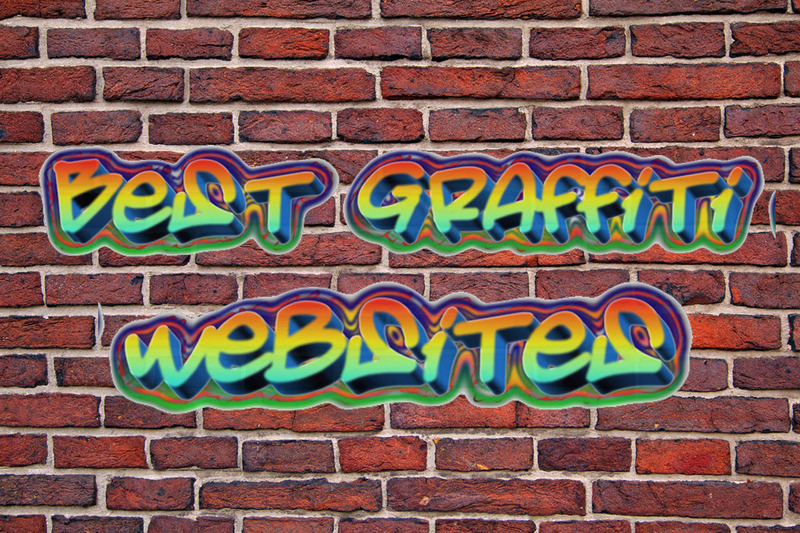 With this in mind, we chose the latest 10 best graffiti websites out there, and we invite you to scroll down and check them out! And if you’re a fan of graffiti, we recommend this legendary volume on the subject. Considered the most comprehensive and bestselling survey of graffiti art ever published, Graffiti World got an updated edition, with even more content. The original collection of more than 2,000 illustrations by over 150 artists around the world is joined by a new section devoted to work created in the five years since the book’s first edition. Graffiti has long been a ubiquitous aspect of the urban landscape, since anonymous, largely unsung spray-can art first hit city walls in New York and Philadelphia in the late 1960s. As hip-hop culture spread from America, graffiti became a worldwide phenomenon, emerging in the 1980s as the symbolic artistic language of young people everywhere. Today’s graffiti artists incorporate a variety of mediums, including stickers, stencils, oils, acrylics, and oil-based chalk, as well as an ever-expanding range of social commentary. Around since 1998, FatCap is one of those legendary graffiti websites that preceded what we now know as blogs, social networks, forums and online shops. 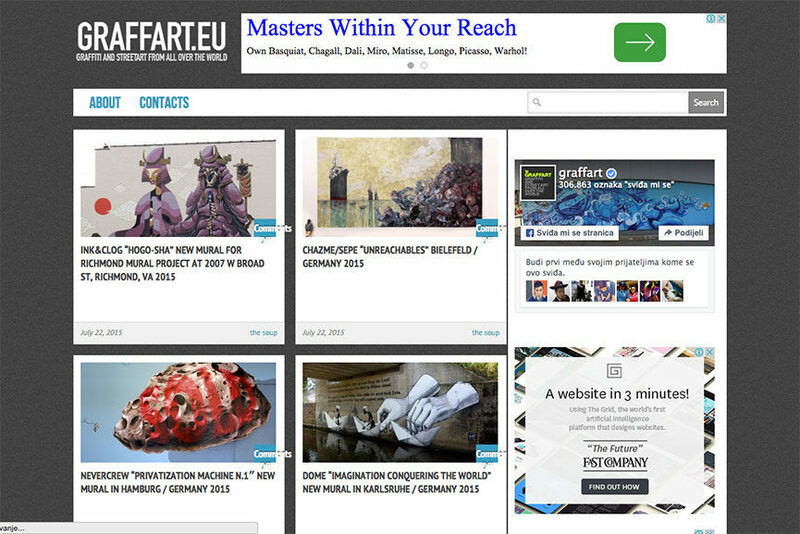 Today, FatCap is one of the most, if not the most, comprehensive websites which promotes artists, graffiti products, has an impressive coverage of graffiti pieces around the world and is very much up-to-date, even after all these years. Through their website, you can promote your own works or arts graffiti-related products, find artists interviews, videos, heaps of pictures, discover different methods of doing graffiti, get style inspiration and even hire a graffiti or a street artist and join their editorial team. 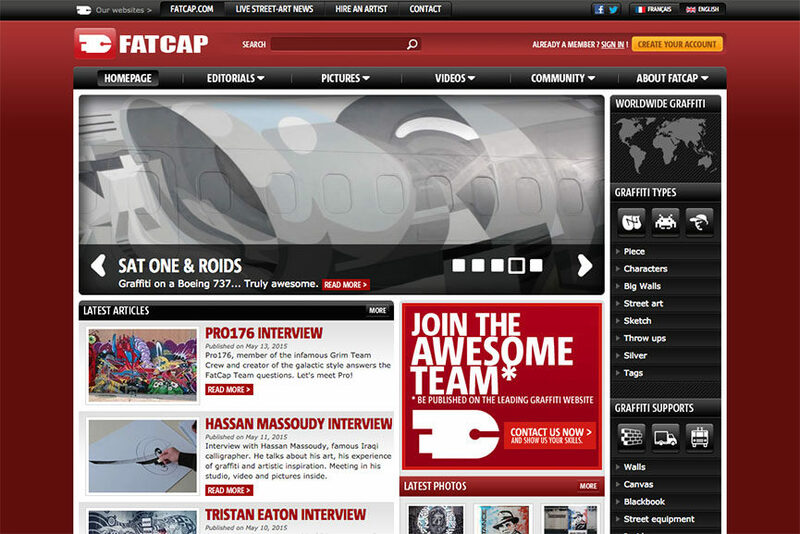 FatCap editorial team definitely made one of the best blogs on the web, with a fast growing family of artists. 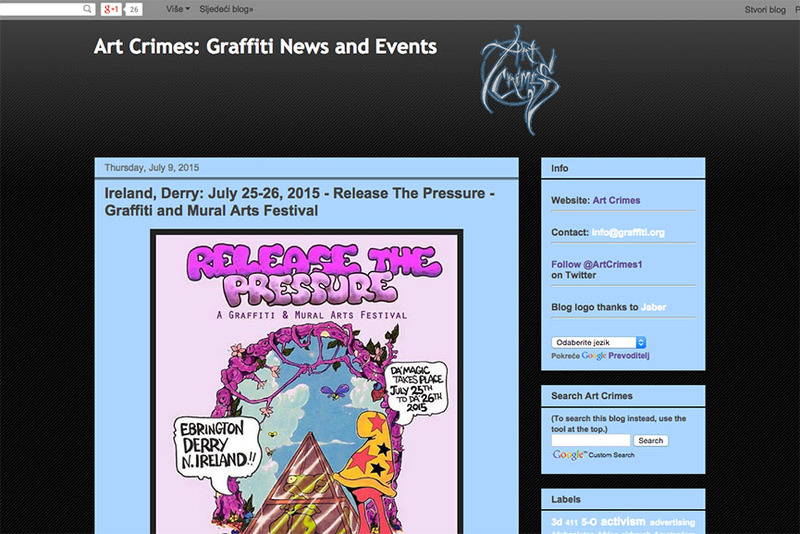 A simple blogspot blog, but a very resourceful one, Art Crimes is a place where you can find graffiti news and events, festival announcements, graffiti merchandise, call-to-artist initiatives, book presentations, and much more. The website has been around for 20 years and is currently getting a new look and website, but you can still check out the blog, which is quite up-to-date. You can also contribute to their archive by sending your own pictures, of other people’s graffiti or your own. 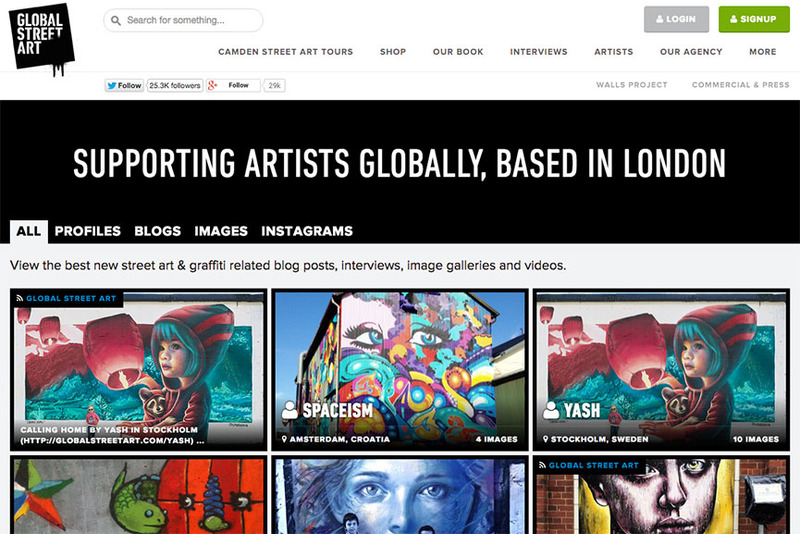 We are looking forward to seeing what the new look of one of the oldest graffiti websites in the world will be like! Another veteran among graffiti websites is Pure Graffiti, having been established in 1997. 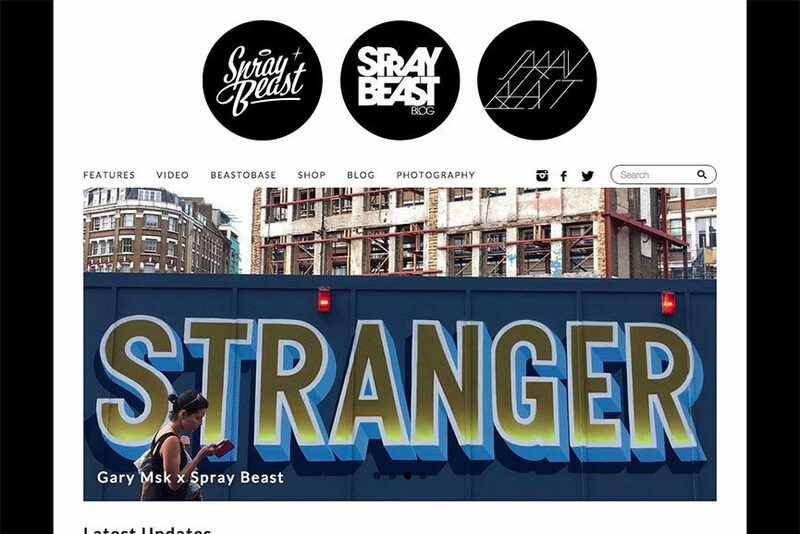 On there, you will find their blog with graffiti news, a graffiti gallery as part of their forum (you can also upload your own photos), and their shop, where you can gear up with some spray paint, t-shirts, backpacks and designer toys, among other things. 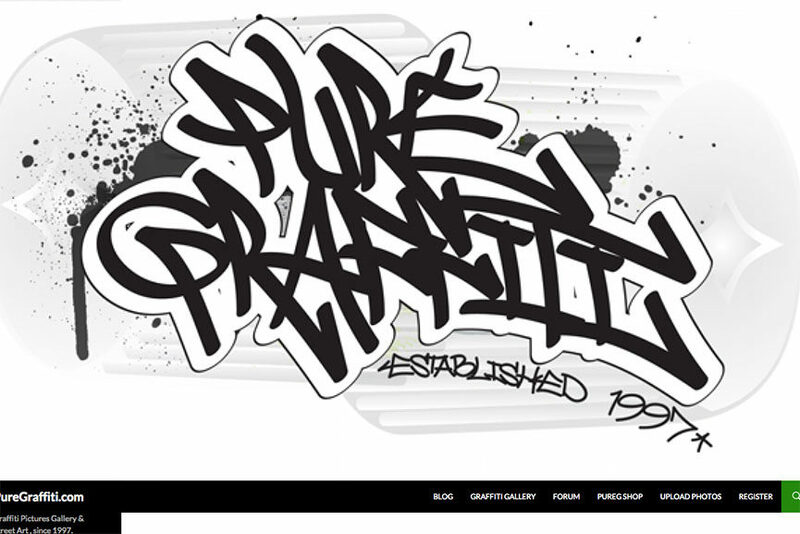 Pure Graffiti also features a number of creatives, videos and a coverage page of urban events, as well as the Flashback 1990-2000 archive, where you can check out some murals and graffiti made back in the day, heavily inspired by the hip-hop culture. Essentially a graffiti supplies shop, Bombing Science is practically heaven for those who are in love with graffiti. These guys provide everything you’ll ever need if you wanted to become a graffiti creative, and this includes, of course, spray cans, can bags, posters, books, t-shirts, clothing, designers toys, housewares, stickers, gift certificates, dads, magazines, you name it. But apart from all that, they have a blog with latest bombings around the world, an Interviews section with a great variety of graffiti artists, and the forum, where you can meet other graffiti lovers, exchange opinions and supplies and even get gifts from the Bombing Science shop itself! With a name like that, we could have hardly left it out of our best graffiti websites list. 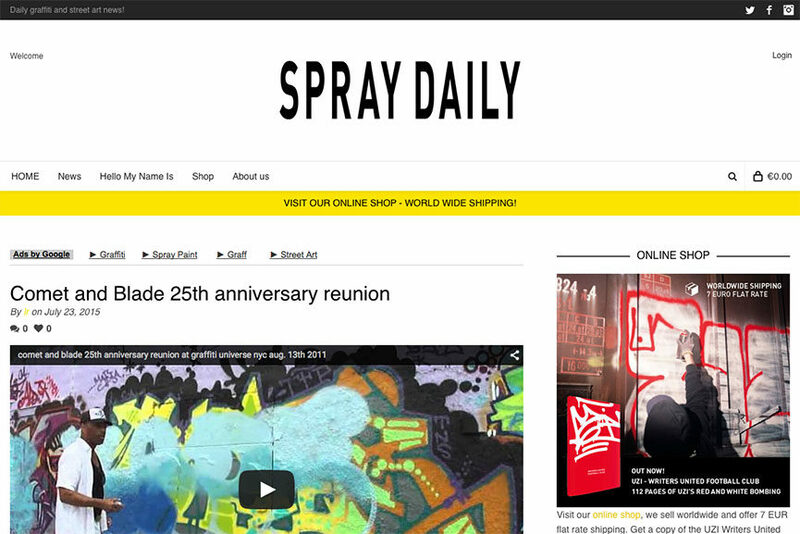 Simple, yet comprehensive, Spray Daily offers a selection of the latest pieces, including murals, train and subway graffiti, bombing, exhibitions and events, photography, sketches and canvas works. On there, you can find a short presentation of selected graffiti artists, as well as interviews, flicks and videos, which they also upload on their own YouTube channel. You can also contribute to their website by sending whatever graffiti-related material you have. You could also check out their shop, which includes issues of Incognito magazine and some affordable supplies. 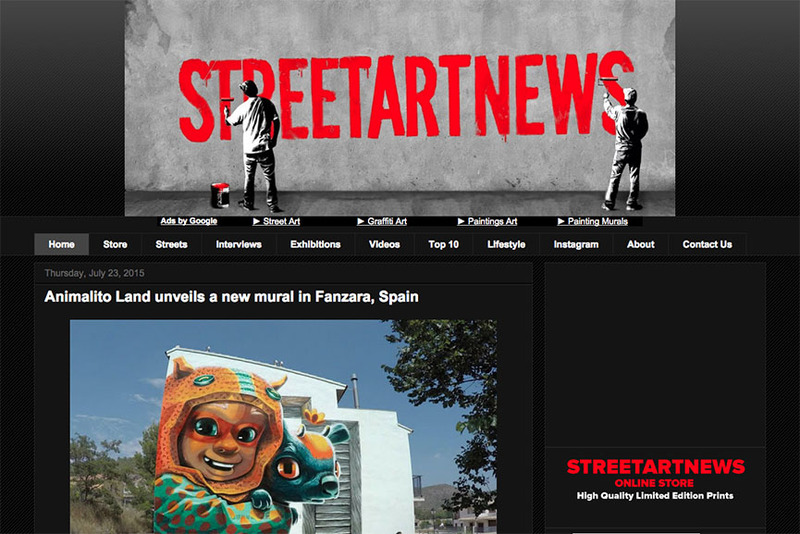 One of the richest websites dedicated to urban arts and graffiti is definitely Street Art News, whose page offers great content in forms of interviews, videos, top 10 lists, exhibition coverages, latest updates from the streets, as well as their own store. In there, you can find prints, zines, even sculpture, by the world’s prominent talents like DZIA, Know Hope, Pixel Pancho and many others. The page was founded back in 2009, with an idea of starting a publication dedicated to urban art and the celebration of it through a devoted promotion. Six years later, they’re doing just that, and they’re great at it! Folks over at Global Street Art dream big. This is to say they’re a web platform which supports talents and graffiti writers by showcasing and promoting them; they have a Walls Project, an actual legal urban arts and mural project in London, which saw over 850 pieces created from 2012 till today; they’re partnering with leading brands to organize events and advertising campaigns, and they also fight for good causes in the most simple way – they’re advocates for change. 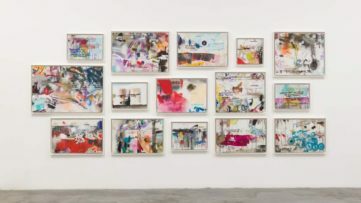 On their website, you can find a lot of material on graffiti and street art, including interviews, a photo gallery of works and techniques, an artists database, a self-published books, as well an online shop. Although the name Brooklyn Street Art would make you think that this graffiti website covers the scene of this New York City neighborhood, that’s not the case. They bring out latest news from all around the world, let you know about events, educate you with a videos archive, offer interviews and studio visits with famous artists and much more. What’s interesting is that over at Brooklyn Street Art, they also provide an app, called What’s Up App, described as “a real time visual dashboard from all your favorite sites”. Make sure you check them out and support their hard work! As London is one of the cities with the most impressive urban arts legacy in the world, it needed a website to cover all the artworks created on its streets. 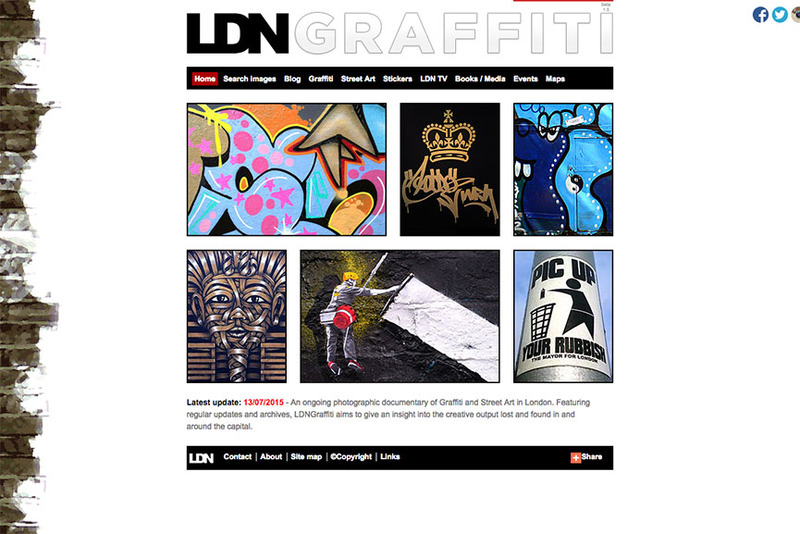 That website is LDN Graffiti, describing itself as an ongoing photographic documentary of London’s graffiti scene. 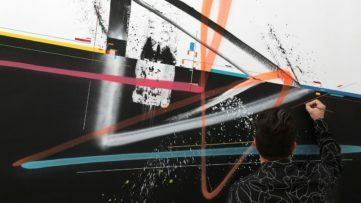 The site also offers a video archive, featuring clips of some famous talents painting in London, as well as documentaries and interviews. LDN Graffiti also showcases some books dedicated to graffiti, including their own titled London Graffiti and Street Art, announces events happening in the city, and features a detailed map of the places to see when in London. Yes, including places where Banksy painted. 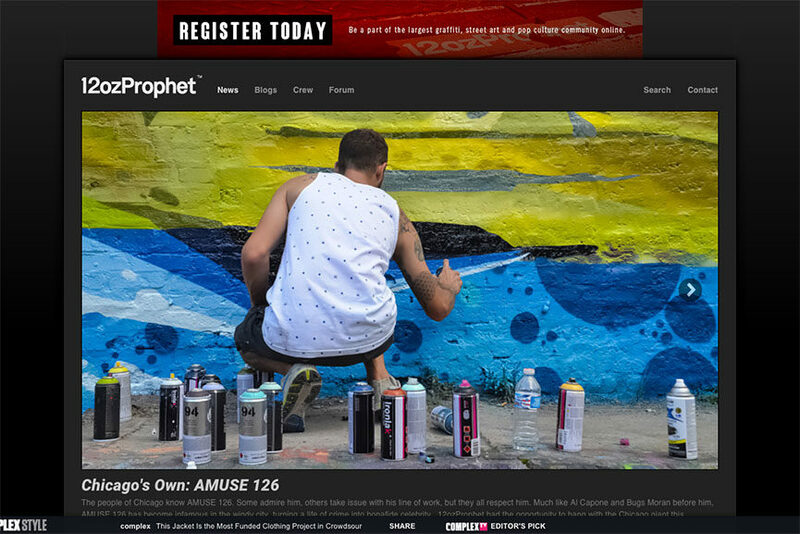 To wrap up our selection of the best graffiti websites, we have 12ozProphet, a platform founded in 1993 with the goal of raising the bar for graffiti while integrating its distinctiveness into the wider area of popular culture, fashion, music, art and design. 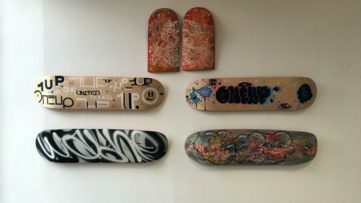 There, you can find the latest graffiti pieces from around the planet and participate in discussions on their popular forum. Let me just point out that one of their contributors is Martha Cooper. If you’re looking for graffiti news, but not just, then 12ozProphet is the right place for you. 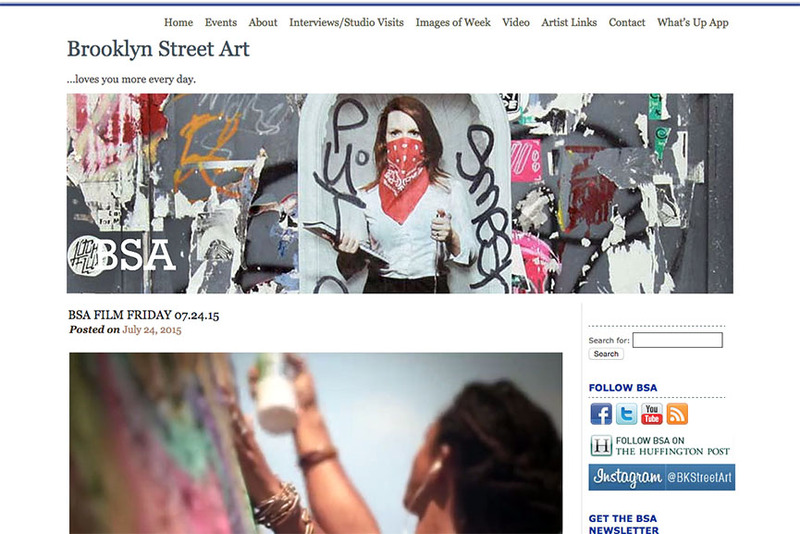 Don’t miss out on graffiti news on our own website – sign up for My Widewalls today! It’s free!